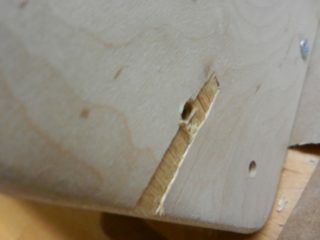 I am NOT a cabinet maker. 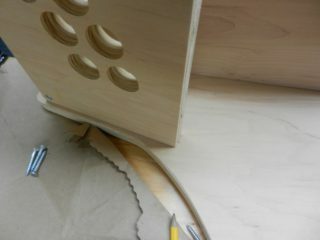 working with wood takes practice using the correct tools. I do not have all the tools. and I do this once in while. maybe once a year. which is more like never. measure fit. check it twice. that BiG hole is for a switch. measure once. check it twice. whole hole goes here. clearance. might want to put a plexi top here. LEAVE a gap for the future. another measure once. check it twice. whole hole goes here. this one is in the middle of the box. I already know it is in the wrong spot. test fitting. glue tries to run away. stand up. dry glue. dry. 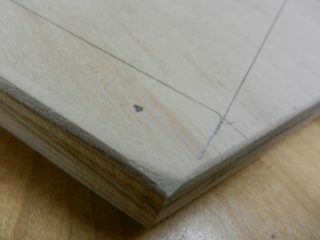 what I got using the oversized bit and a drill that I cannot control without the zact mad skillz needed for perfections. but glue and dust and sand paper will fix it… right? if I did have ALL the tools to make the cabinet… what would I have in tools? band saw or jig saw. eek. that looks like a thousand dollars of proper tools. 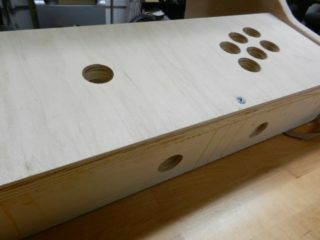 this makes $100 dollars for Game Cabinet Kit look even cheaper! I get a near final product without all of that metal with a need for a place to put it. also there is an on going cost of having those tools. as we know, idle tools tend to rot when not in use. 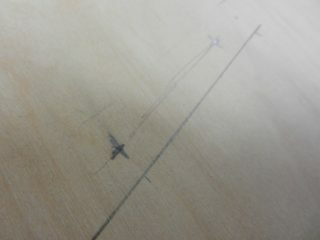 as wood is not my day to day why have all this stuff in the corner and pay for the space. so my rant above, about cost, is unfounded. carry on. remember my 1” wood screw rant? 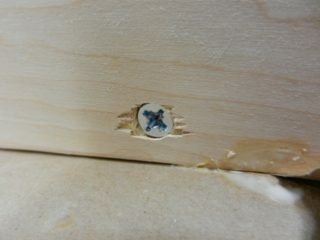 the wood guy suggests 1” but this is not the right screw unless you tap a hole for the head. 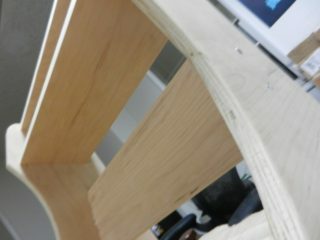 and I don’t have right drill or the steady hand to do that kind of work. DiResta makes it look easy only because he does this every day. AND he has every tool known to tools. sigh. the good thing is that SiDE ART will cover my mistakes. what I would do different had I known what I know now? get the Dremel out and that stone to grind out space for the screw heads. I have that tool. and maybe that stone is here. 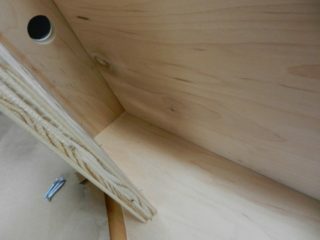 when I drilled the holes I did not anchor the first hole after I made it. the boards moved a little after the third hole. I put an anchor screw in after that. use a power screw driver to set the screws. figure out how a specific area can always stay clean. it became a catch all over the course of the day because I cleared it yesterday. BIG open spaces catch things. I have to fix this in my head. tomorrow… another round of sanding, paint and paper.